Sophisticated w/cust.feat.you expect at this price point. 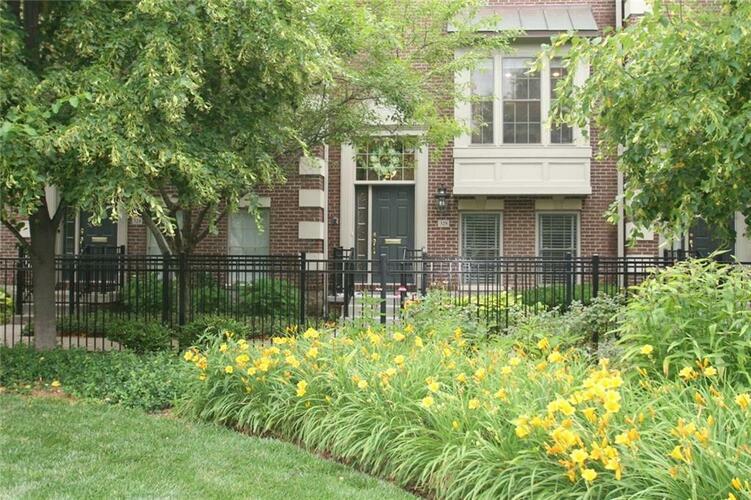 Townhome nestled on prem.lot face.east&lush ctyd in most sought after addresses dwntn in Firehouse Sq.Retreat hm to airy&bright lux.hm w/skyline views&relaxation of quiet neighbor.Feat: 2 mstr.suites w/walk-ins.lux.42” cherry cabs,gran.tops,high-end SS KitchenAid,Dacor duel fuel range,Birch flrs.vltd clgs.Maple blt-ins.cust.window treat.rev.silk blind.brush.nickel fix/fans;2014:roof,porch,wtr htr.2-c-att.gar.w/lux.epoxy flrs.&blt-in cabs. Directions:Ohio Street east of Meridian Street to Firehouse Square Entrance. North/left - Left at T to Firehouse Place - right to 328.